Programmers often confuse that collect() method belongs to Collector class but that's not true. It is defined in Stream class and that's why you can call it on Stream after doing any filtering or mapping. It accepts a Collector to accumulate elements of Stream into specified Collection. The Collector class provides different methods e.g. toList(), toSet(), toMap(), and toConcurrentMap() to collect the result of Stream into List, Set, Map, and ConcurrentMap in Java. It also provides a special toCollection() method which can be used to collect Stream elements into a specified Collection like ArrayList, Vector, LinkedList or HashSet. It's also a terminal operation which means after calling this method on Stream, you cannot call any other method on Stream. The list returned by the collect method will have all the String which starts with "J" in the same order they appear in the original list because both Stream and List keep elements in order. This is an important detail which you should know because you often need to process and collect elements in order. If you want to learn more about ordered and unordered collection I suggest you join Java Fundamentals: Collections course by Richard Warburton on Pluralsight. It's a specialized course on Java Collection framework which is very important for any Java developer. You can use Collectors.toSet() method along with collect() to accumulate elements of a Stream into a Set. Since Set doesn't provider ordering and doesn't allow duplicate, any duplicate from Stream will be discarded and order of elements will be lost. The set of String in this example contains all the String which starts with letter C like C and C++. The order will be lost and any duplicate will be removed. You can create a Map from elements of Stream using collect() and Collectors.toMap() method. Since a Map like HashMap store two objects i.e. key and value and Stream contains just one element, you need to provide the logic to extract key and value object from Stream element. The Function.identity() used here denotes that same object is used as a key. Though you need to be a little bit careful since Map doesn't allow duplicate keys if your Stream contains duplicate elements than this conversion will fail. In that case, you need to use another overloaded toMap() method also accepts an argument to resolve conflict in case of duplicate keys. Also, toMap() doesn't provide any guarantee on what kind of Map is returned. This is another important detail you should remember. If you want to learn more about dealing with Collections and Stream I suggest you take a look at another Pluralsight gem, From Collections to Streams in Java 8 Using Lambda Expressions course. You can also collect or accumulate result of Stream processing into Collection of your choices like ArrayList, HashSet, or LinkedList. There is also a toCollection() method in the Collectors class which allows you to convert Stream to any collection. 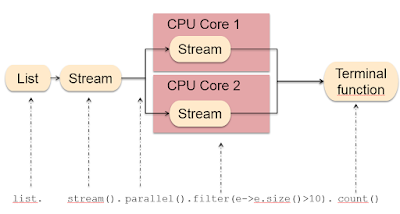 In the following example, we will learn how to collect Stream elements into an ArrayList. Since ArrayList is a list, it provides ordering guarantee, hence all the elements in the ArrayList will be in the same order they appear in original List and Stream. 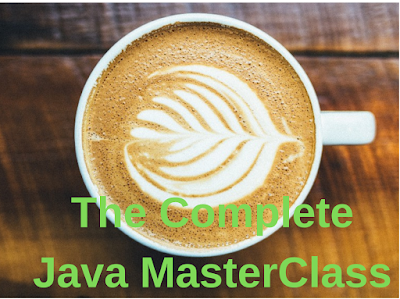 If you find Javadoc boring then you can also join The Complete Java MasterClass, one of the most comprehensive Java course on Udemy. 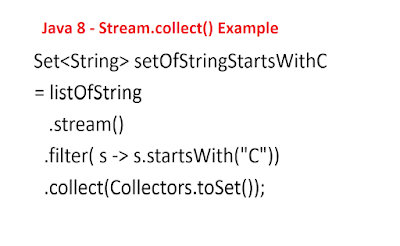 Here is our complete Java program to demonstrate the use of collect() method of Stream class to convert Stream into different Collection classes in Java e.g. List, Set, Map, and Collection itself. System.out.println("list of String starts with letter J: "
System.out.println("set of String starts with letter C: "
System.out.println("collection of String with length greather than 2: "
That's all about how to use the collect() method of Stream class in Java 8. Along with collect(), you can use the Collectors method to convert Stream to List, Set, Map, or any other Collection of your choice. Just explore the Collectors Javadoc to learn more about those methods. Thanks for reading this article so far. If you like this Java 8 Stream tutorial then please share with your friends and colleagues. If you have any questions or feedback then please drop a note. P. S. - If you love to learn from free courses, here is a collection of free online courses to learn Java 8 and Java 9 features on freeCodeCamp.